Did anyone expect an Ofcom inquisition? In what might lead to a big shake up of UK TV, Ofcom today revealed that it had received a submission from BT, Setanta, Top Up TV, and Virgin Media, asking it to investigate the pay TV industry. Or, more accurately, the protesting companies want Ofcom to take a good, long look at Sky's market dominance. Ofcom will be mounting an investigation into the pay TV market, including free-to-air digital broadcasts, cable, satellite and IP delivery systems. Ofcom will ask all market participants to submit information about their businesses and will then decide whether to request a full investigation from the Competition Commission. The joint complaint has undoubtedly been sparked by the loss of BSkyB channels on Virgin Media's pay TV platform. However, Ofcom has been keen to point out that pro-consumer groups, including its own Consumer Panel and the National Consumer Council, have recently expressed similar concerns about the way that Sky has been throwing its weight around. There has also been some unease about Sky's plans to launch pay-per-view channels on the Freeview platform to replace to the free-to-air channels (Sky Three, Sky News, Sky Sports News) that it currently operates. 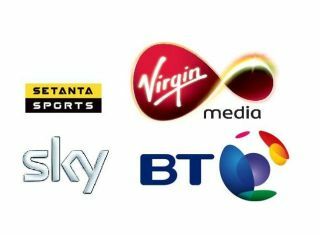 "BT, Top Up TV and Setanta all have a commercial interest in preventing Sky from increasing customer choice," said a Sky press release issued earlier today in response to the Ofcom announcement. "Recent events have also drawn attention to the fact that cable is a closed network with substantial protections. In any market investigation, we'd expect Ofcom to look at the physical and legal barriers and business practices that shield Virgin Media from true competition and prevent consumers from enjoying lower prices in broadband and telephony and greater innovation and choice in television." The newly-formed Virgin Media company is engaged with Sky in an ongoing battle for the hearts and wallets of pay-TV customers. Virgin's TV network (which consists of Telewest and NTL cable households) reaches over three million people. Sky, in comparison, broadcasts to nearly 8.5 million. The investigation will be concerned with features of the market, including control over content, ownership of distribution platforms, retail subscriber bases and vertical integration. But what does all this mean for consumers? "An investigation by the Competition Commission could call for Sky to separate its TV platform from channels like Sky One, " suggests What Satellite and Digital TV editor Alex Lane, "either voluntarily as BT was forced to do with its network and retail businesses last year, or forcing a break-up." Virgin Media is already fighting to keep its customers after losing the popular Sky One channel and, rather than see them switch to Sky, it's offering what look like dramatic discounts to retain its customer base. "In the space of 20 minutes, our bill has gone from £70 plus Vat a month, to £45 (plus Vat) a month," said my colleague on PC Answers who is a Virgin Media customer. "Plus we now get free evening and weekend calls. We didn't even have to mention switching to Sky, just stated that we'd seen better deals elsewhere."